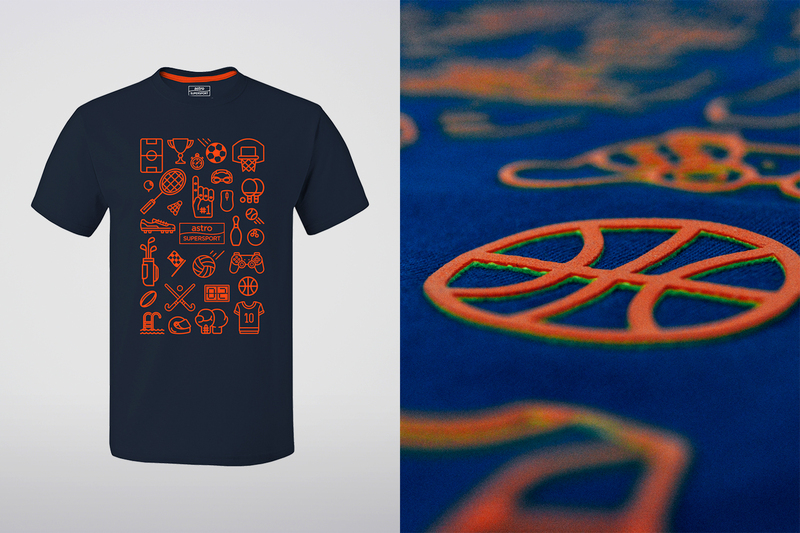 FOX Sports’ Summer of Slams t-shirt for Roland-Garros, designed and made by Saltycustoms. The Roland-Garros, also known as the French Open, is one of the most popular and most watched major tennis tournaments in present time. Whenever Roland-Garros comes around, the market is inevitably flooded with apparels that commemorate and celebrate the tournament. 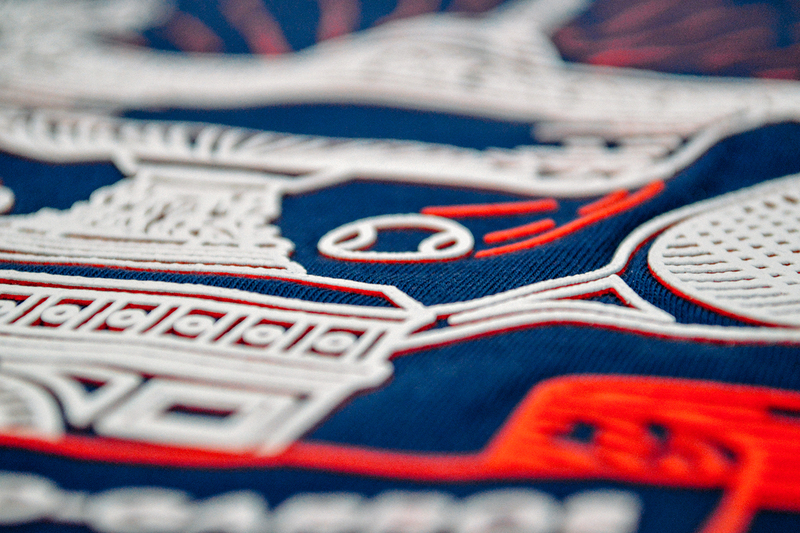 In early 2016, amidst the many Roland-Garros t-shirt designs that were spotted on the fronts and backs of thousands of tennis enthusiasts, one design truly stood head and shoulders above the rest. 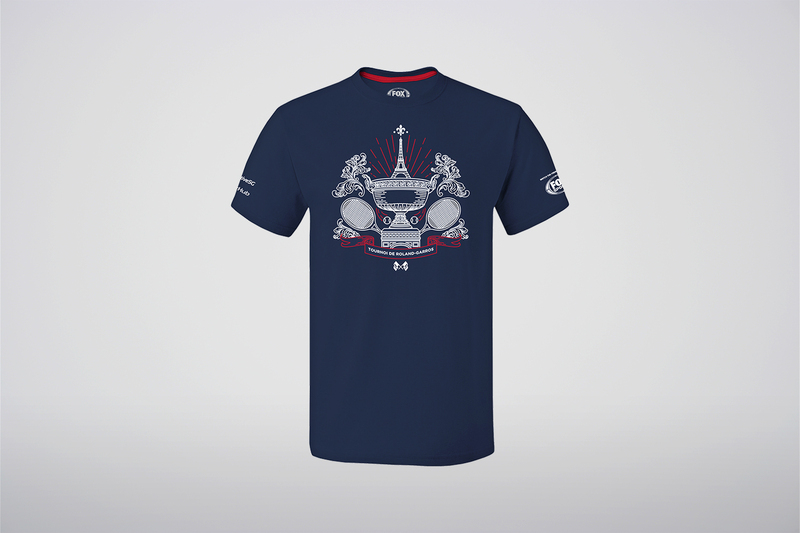 And that was the FOX Sports’ Summer of Slams t-shirt for Roland-Garros. Why? The answer is simple: high-density print. 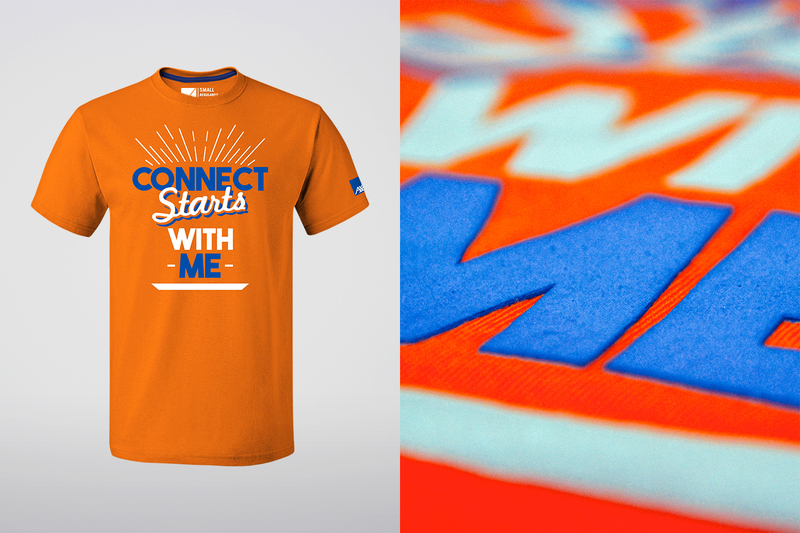 Inject additional texture and depth into the graphics of your t-shirt with high-density print. High-density print is all the rage these days in the world of t-shirts. More and more businesses are willing to spend the extra bucks for t-shirts with high-density prints to help their brand shine and to leave a lasting impression on the wearer. Essentially, high-density print is printing high density inks on a special screen setup to create a squared-off print that stands up to 1/8-inch above the surface of the fabric. The dense ink creates an opaque and three-dimensional print that injects additional texture and depth into the graphics of a t-shirt, and it also adds durability to the garment. Due to its slight glossy finish and rubbery texture, high-density print is perfect for highlighting solid and bold graphic areas, such as text or symbols. However, that also means that special care must be taken when it comes to washing t-shirts with high-density prints; they must be washed inside out on a gentle cycle and tumble-dried low. Ironing and bleaching must be avoided to prevent damages to the print. Lastly, any colour in the Pantone Matching System solid colour guides can be used on high-density print, giving you greater flexibility in creating eye-popping designs. 100% cotton or cotton-poly materials are also compatible with high-density print. On top of FOX Sports’s Summer of Slam campaign, many other brands have also capitalised on this unique print method to help their brand stand out from the competition. 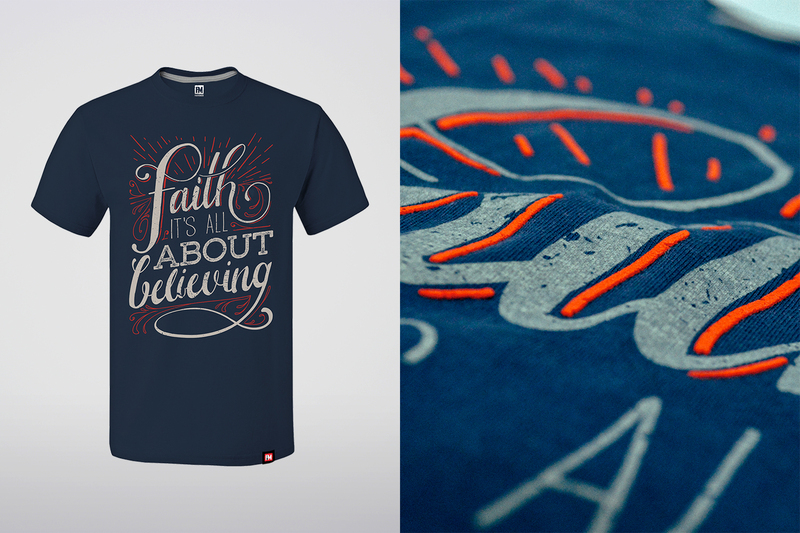 We have made high-density print t-shirts for AXA, iAMFAITHMEN and also Astro SuperSport. So, what do you think of high-density print on t-shirts? If you have questions about high-density print, or would like to order t-shirts with high-density print for your business, feel free to contact our Apparel Consultants at sales@saltycustoms.com or log on to saltycustoms.com.